Follow the instructions below to install PowerServer to the WebSphere Application Server. Step 2: Launch the Appeon PowerServer 2019 Setup program and select to install PowerServer for WebSphere (see Starting the installation). Wait until PowerServer completes the preparation. Step 3: Click Browse to specify the home directory of the WebSphere Application Server where PowerServer will be installed, for example, C:\Program Files\IBM\WebSphere\AppServer. Click Next. Step 4: Specify the user name and password for AEM. Step 5: Check the summary of settings. Click Back to change any unwanted settings or click Next to have Setup begin copying files. 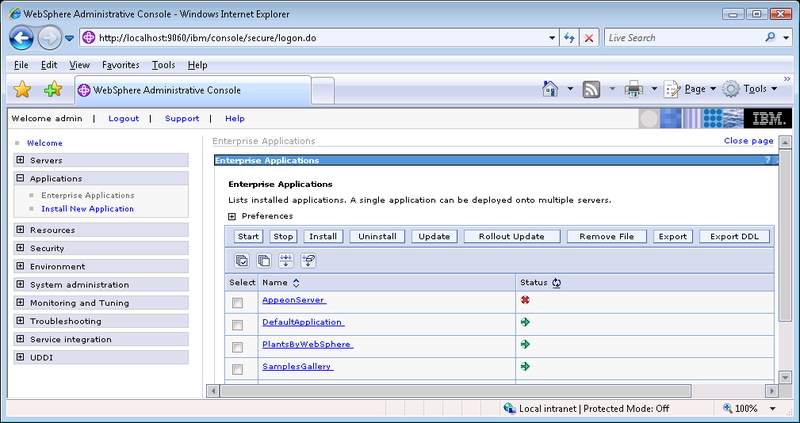 Step 6: Wait until PowerServer Mobile/Web installation is completed. 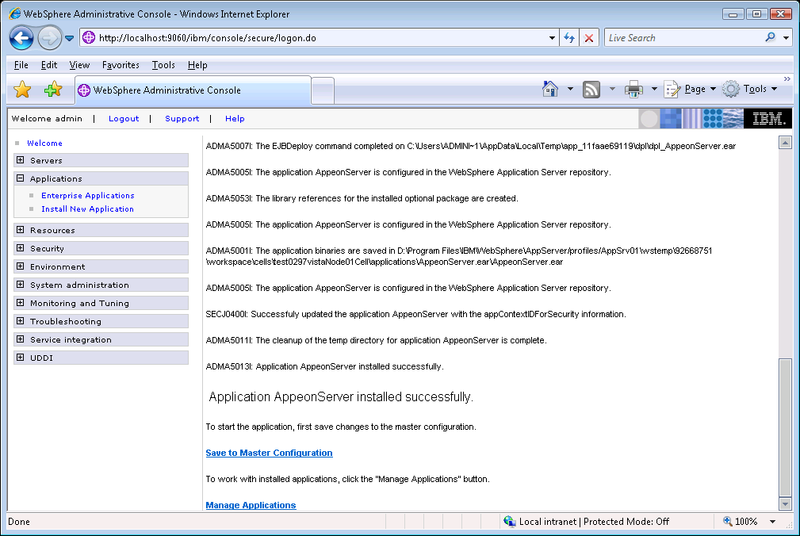 PowerServer has been successfully installed to the specified WebSphere Application Server home directory. 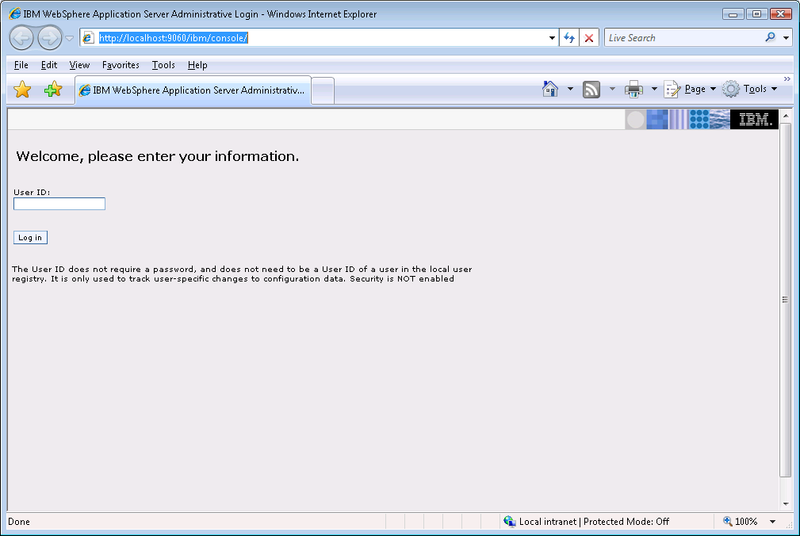 Step 7: Choose whether to Start PowerServer. It is selected by default. To manually start PowerServer from the Windows shortcut later, uncheck the box, then click Finish to end the installation of PowerServer. Step 1: Start WebSphere Application Server from Windows Start | Programs | Appeon PowerServer 2019 | PowerServer for WebSphere | Start WebSphere. For details on starting WebSphere Application Server, refer to Starting/Stopping PowerServer. Step 2: Access WebSphere Application Server Administrative Console from Programs | Appeon PowerServer 2019 | PowerServer for WebSphere | WebSphere Manager. 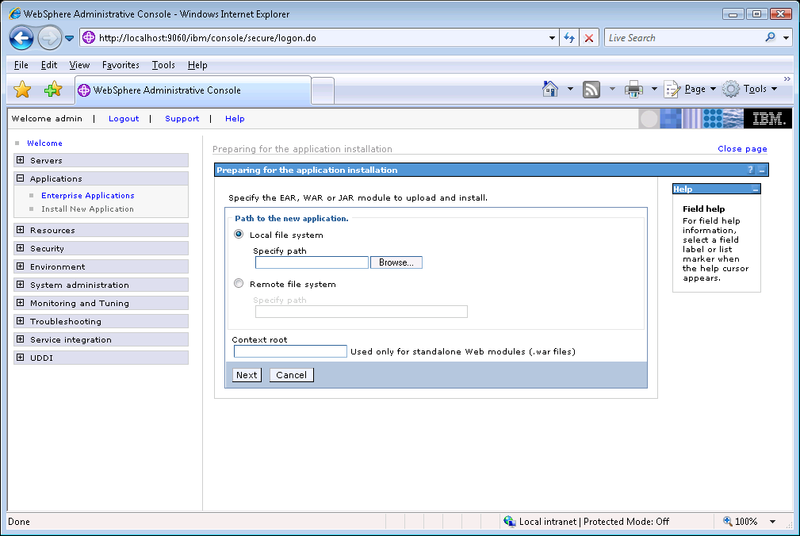 The WebSphere Login window will appear. During this process, you may encounter Application Security Warnings from WebSphere. You can simply disregard these warnings, because the appeonserver.ear application requires no security settings to be set on WebSphere. If the initial status of AppeonServer is stopped ( ), select AppeonServer by checking the appropriate box on th left and click the Start button to start it. Open the Windows Start menu and select: Programs | Appeon PowerServer 2019 | PowerServer for WebSphere | AEM, or directly enter the following URL in the Web browser address bar: http://host:port/AEM, for example, http://localhost:9080/AEM. 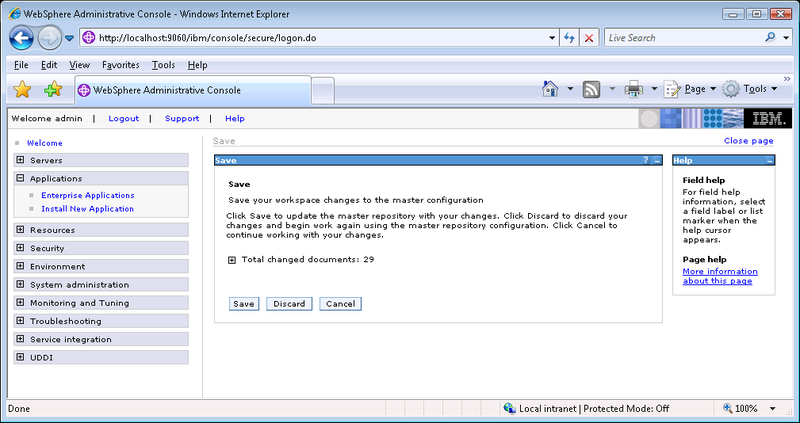 If the AEM logon window can be opened, the PowerServer EAR package is deployed correctly and is ready for use.